Long-time users of cryptocurrency sometimes find old wallet files on USB drives or cloud storage that they have forgotten about. Others may have a backup, but can’t remember the software they used to create it, or have forgotten the password. 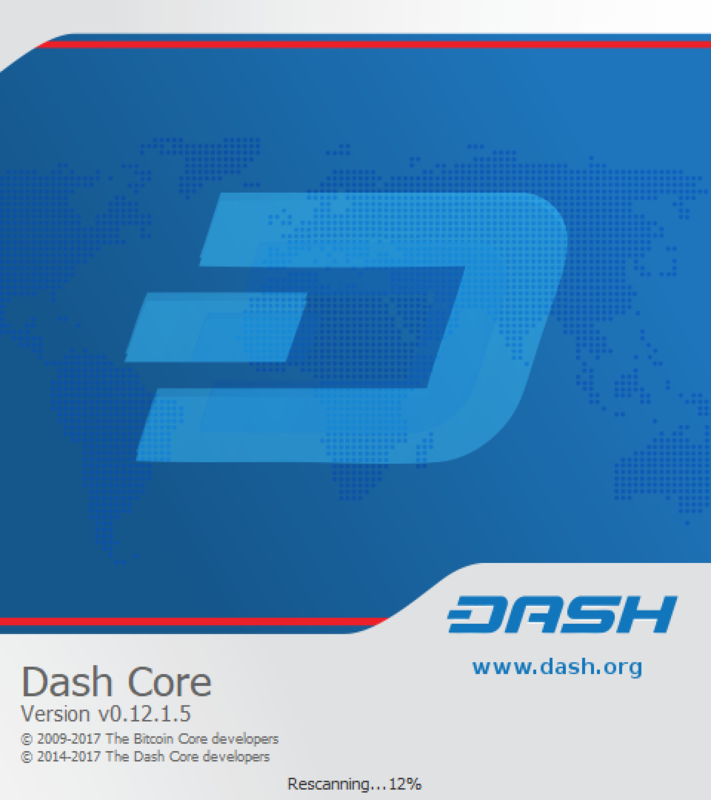 Other users may have an old version of Dash Core that no longer works because the network has upgraded. This documentation is intended to help these users restore access to their funds. The first step is to determine the format of your backup. In most cases, this will either be a file, probably named wallet.dat, or a phrase of words. In some cases, you may have stored the private key for a Dash address directly. The following list shows the possibilities and methods to restore your wallet in order of probability. If 34 characters long and starting with X, this is a public address and cannot be used to restore access to lost funds. You need the private key. Once you have determined your backup format, follow the links to view the restore guide for that format. Update Dash Core to the latest version according to the installation instructions. 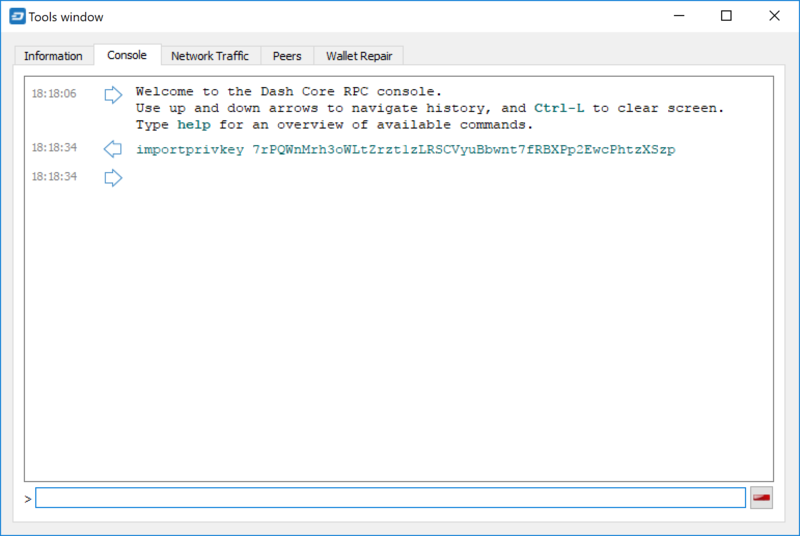 If you have only a wallet file and no existing installation of Dash Core, simply install Dash Core according to the installation instructions and start it once to create the DashCore folder. Then close Dash Core and copy the wallet.dat file you want to restore to the DashCore folder in the location specified below, replacing or renaming the existing file. 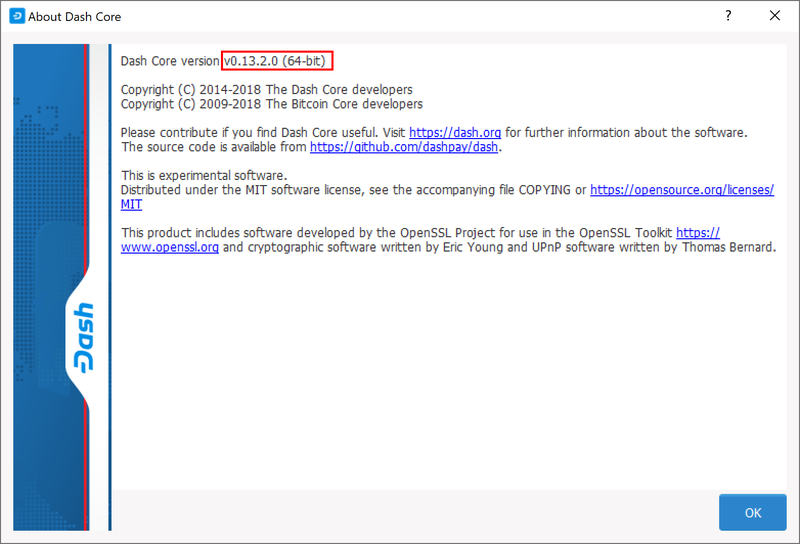 If your existing version of Dash Core is older than v0.12.1.x, you may need to rename your data folder from Dash to DashCore. Leave .conf files and the folders (such as backups, blocks, chainstate, etc.) intact, since they will help you get started faster by providing a copy of the blockchain and your settings. Now open Dash Core and wait for blockchain synchronization to complete. Your wallet will be restored/upgraded and all balances should be displayed. You should ensure you have the correct password by trying to unlock your wallet from Settings > Unlock Wallet to make sure you can actually create transactions using your balances. 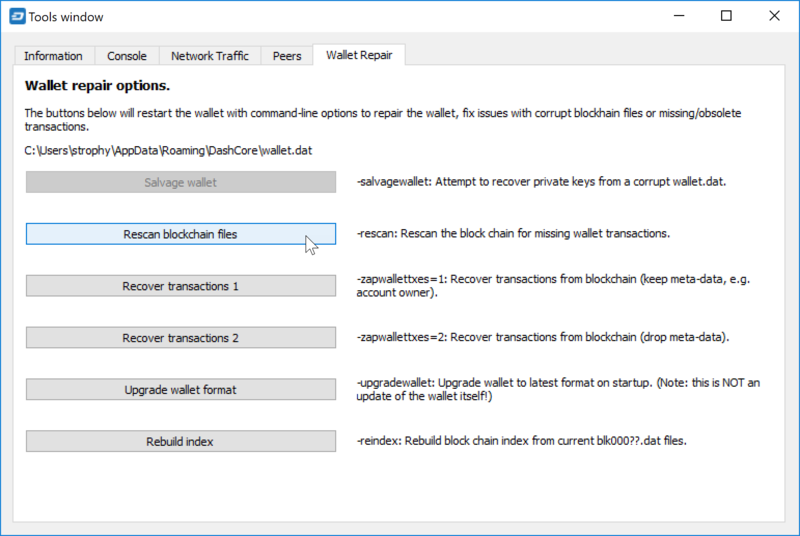 If you have any problems with your balance not appearing, try to force a rescan of the blockchain by going to Tools > Wallet Repair and selecting Rescan blockchain files. Rebuild index may also help. Dash Core will restart and perform a full scan of the blockchain. 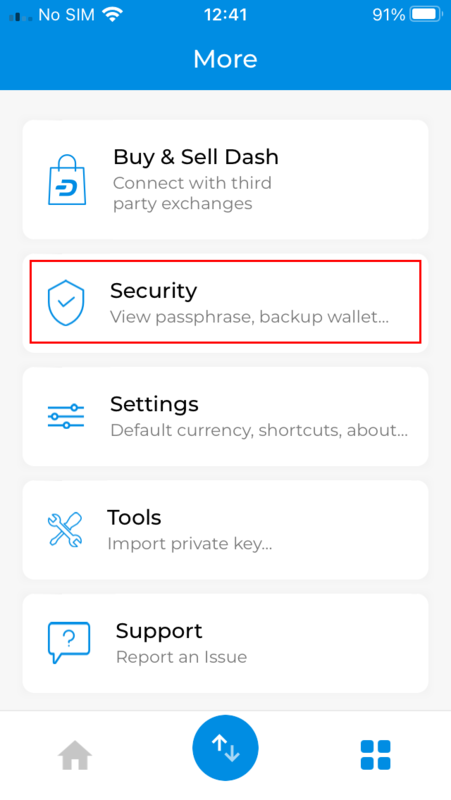 Similar to Dash Core wallet, Dash Wallet for Android can back up your wallet to a file. 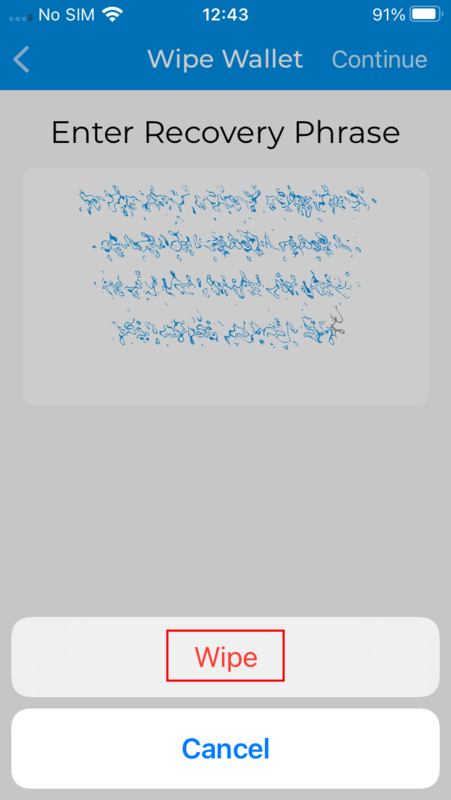 To restore this wallet on another device, simply copy the backup file to the /Downloads folder of your device using either a computer connected by USB or a file manager app on the device. Ensure your Dash wallet is fully updated in the Play Store, then open Dash. If you have an existing balance, either make another backup or transfer it to an external address, because restoring a wallet will replace your existing wallet! Click the menu button in the top left corner, select Safety > Restore wallet and select the appropriate file from the list. Enter your password and click Restore. This may take some time, and your balance will be displayed when complete. If you have a 12-word phrase and feel certain your backup was made on an iOS or Android mobile device, follow these instructions. Ensure your Dash wallet is fully updated in the Play Store, then open Dash. If you have an existing balance, either make another backup or transfer it to an external address, because restoring a wallet will replace your existing wallet! Click the menu button in the top left corner, select Safety > Restore from recovery phrase and enter your 12-word phrase. 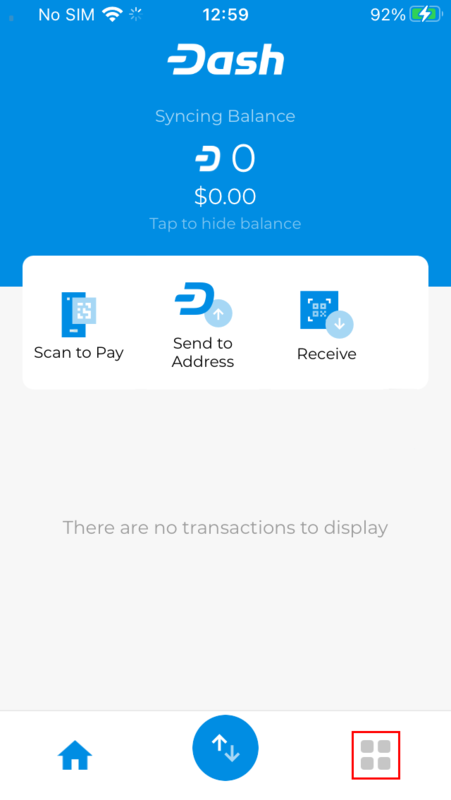 Ensure your Dash wallet is fully updated in the App Store, then open Dash. 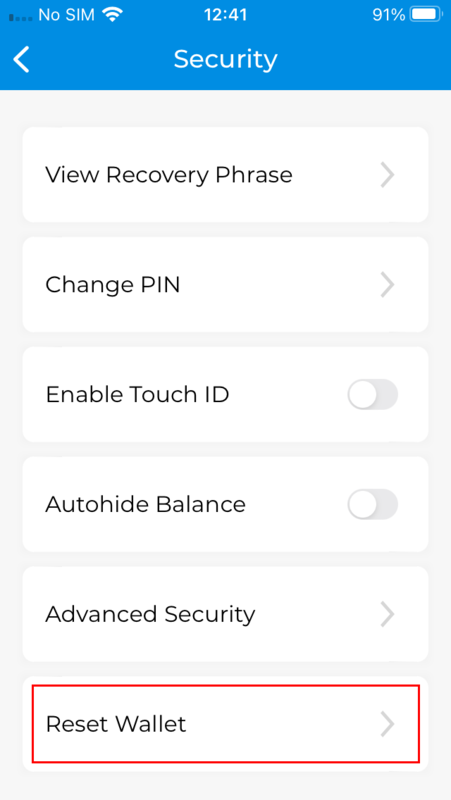 If this is the first time you are opening the app, you can enter your recovery phrase directly by selecting Recover wallet on the start screen. If you have an existing balance, either make another backup or transfer it to an external address, because restoring a wallet will replace your existing wallet! Click the menu button in the top left corner, select Settings > Start/recover another wallet. Enter your current wallet recovery phrase, then the app will reset and you will see the option to Recover wallet again. 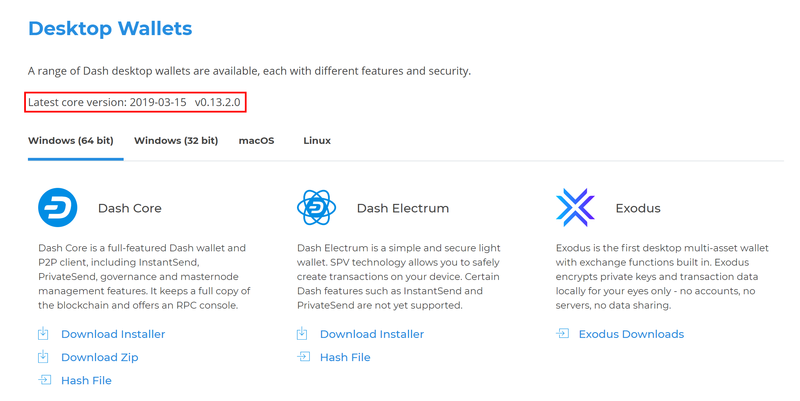 Ensure you are using the latest version of Dash Electrum according to the installation instructions here. 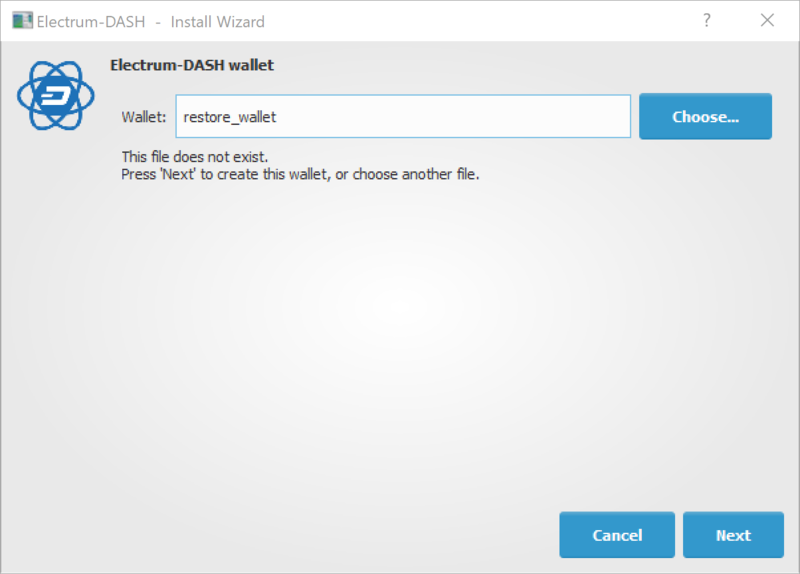 Dash Electrum supports multiple simultaneous wallets, so you can safely restore to a new wallet file without losing your old wallet. Click File > New/Restore and enter a file name to store your new wallet. Then select I already have a seed and enter your 12/13-word recovery phrase. Enter a new password for your wallet and click Next to recover your addresses from the recovery phrase. You can use your Dash iOS recovery phrase with Dash Electrum to recover funds if you lose access to your iOS device for any reason. 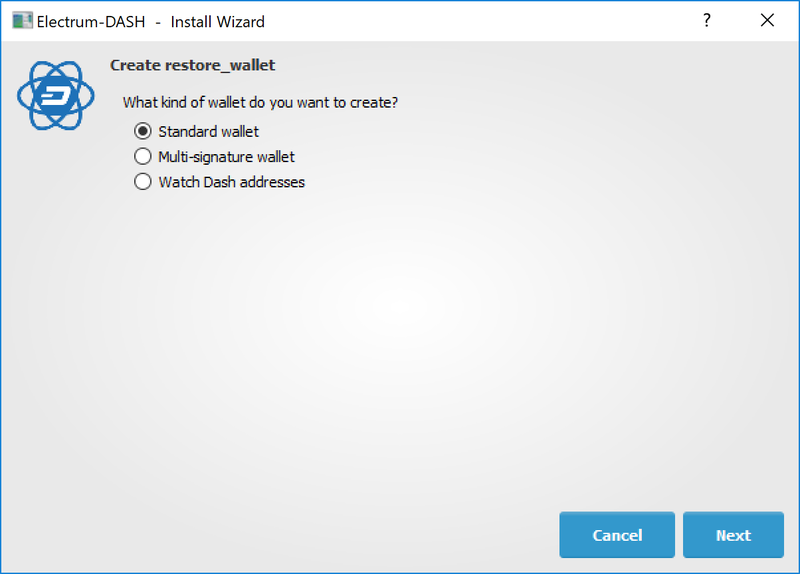 However, since the wallet derivation paths are not identical, the process only works in one direction, meaning it is not possible to restore a Dash Electrum wallet using the Dash iOS wallet. Also, because the import process uses an xprv key rather than the recovery phrase directly, it will not be possible to display the recovery phrase in Dash Electrum. It is therefore recommended to move the funds (either to a standard Dash Electrum wallet or some other wallet) once recovery is successful to ensure that standard backup procedures work as expected. Recovery takes place in two steps. First, we will convert the Dash iOS recovery phrase into an xprv key. 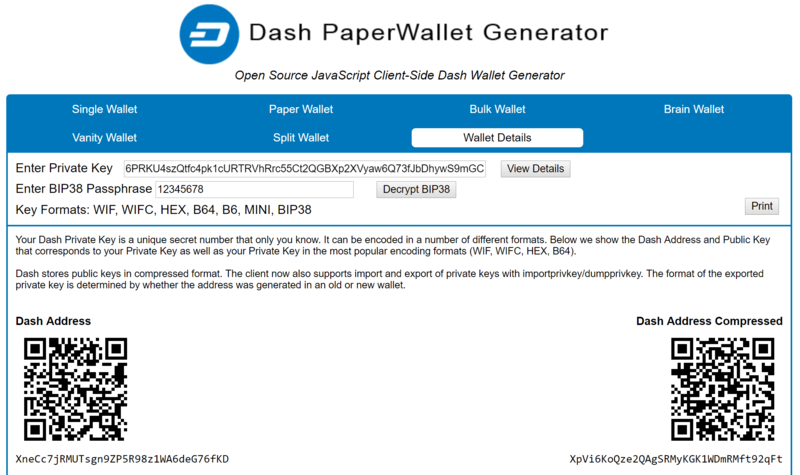 In the second step, we will import the xprv key into Dash Electrum. Enter your 12 word seed phrase in the BIP39 Mnemonic field. Under Derivation Path, click the BIP44 tab. Copy the value shown in Account Extended Private Key. Open Dash Electrum and click File -> New/Restore. Type a name for your wallet. Select Use public or private keys. Paste in your value from Account Extended Private Key. Dash Electrum should now detect your Dash iOS balance and you should have complete access to your funds. 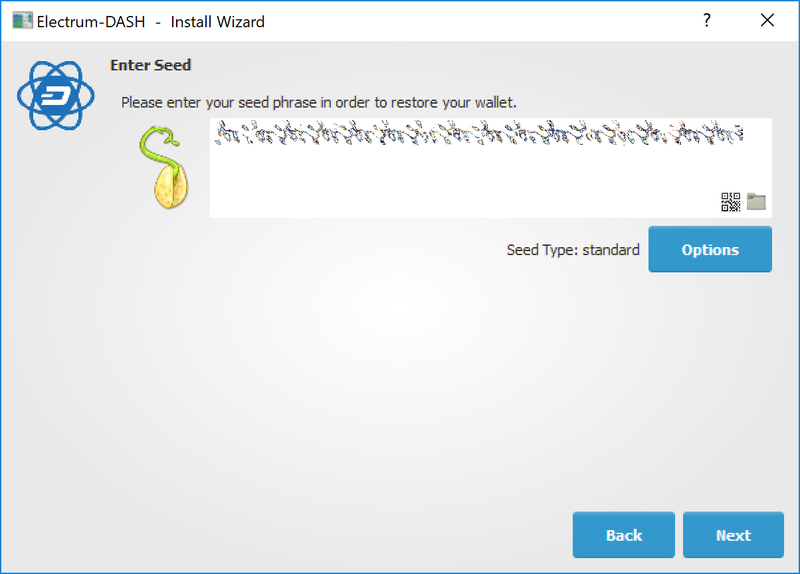 The seed phrase won’t be available in Dash Electrum , so you will just need to follow the steps above again if you want to restore this wallet from the recovery phrase again. It is recommended to send your funds to a new Dash Electrum wallet instead and follow standard backup procedures. Older versions of the Dash iOS wallet used BIP32 addresses under the m/0' derivation path. The wallet should migrate these funds over to BIP44 addresses during normal use, but some residual balance may be under this derivation path, so restoring the BIP32 Extended Private Key may be helpful in some situations. Please see this forum thread for further discussion on this process. Most wallets offer a function to import an address from a private key, see the documentation for your wallet for specific instructions. 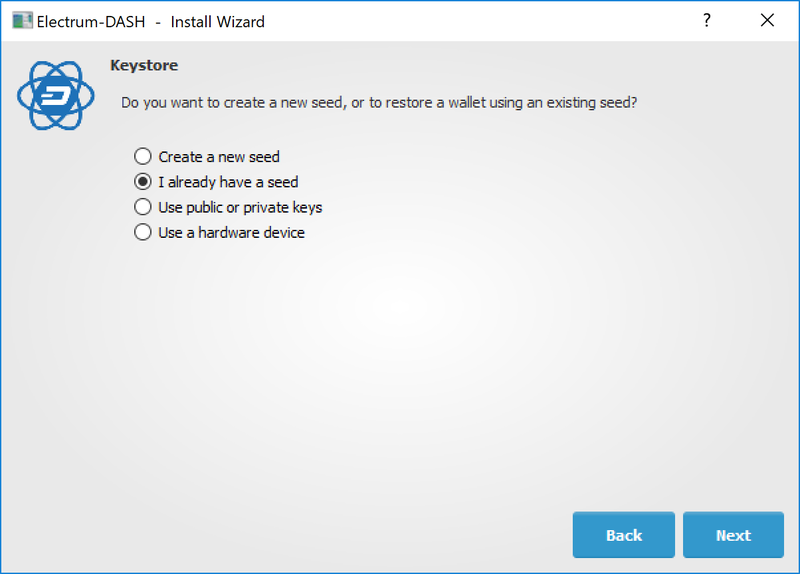 While private keys can be stored in many ways, in this example we will work through the process of restoring a private key from a paper wallet using Dash Core. If you only have a QR code and not the key, use a barcode scanning app (Android or iOS) to read the code first. Dash Core will rescan the blockchain for transactions involving the public address of this key and enter the transactions and balance in your wallet. The private key must be in wallet import format (WIF). 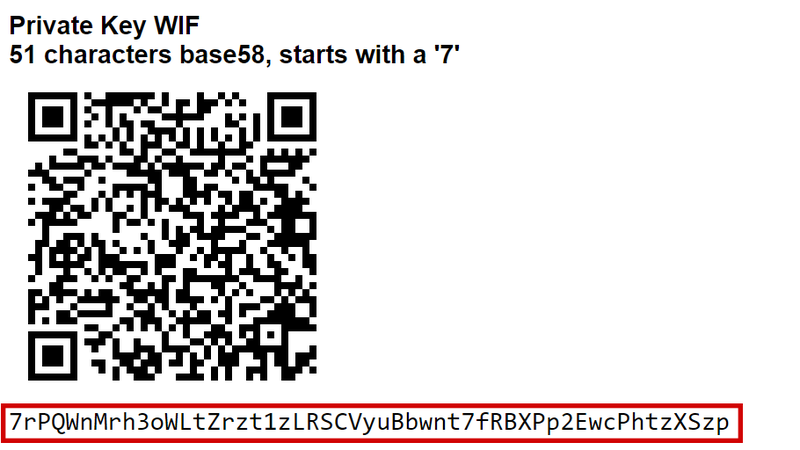 If your key is encrypted using BIP38 (key begins with 6P instead of 7), you must first decrypt it to view the key in WIF. To do so, go to https://paper.dash.org/ and click Wallet Details. 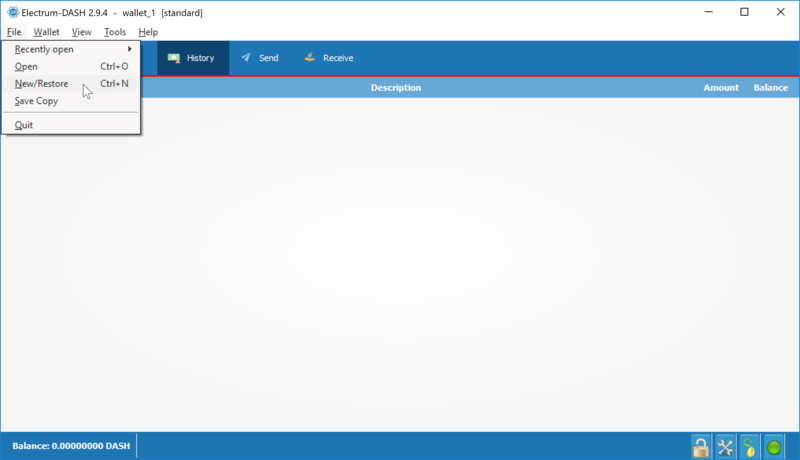 Enter the encrypted private key in the field and click View Details. You will be prompted for the password, and your keys will be decrypted. Find the key named Private Key WIF and import this into your wallet. In most cases, if you selected a strong password and have forgotten or lost it, there is practically no hope of recovery. 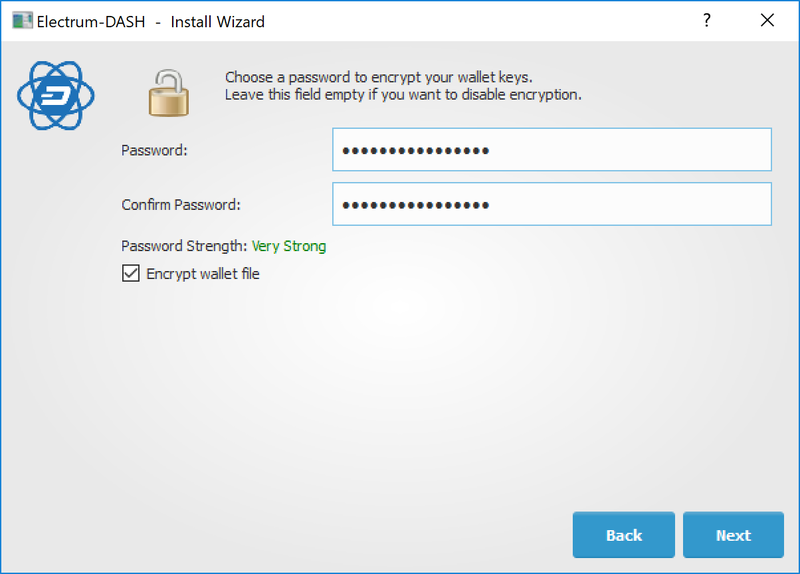 The encryption used by the Dash wallets is extremely strong by design, and a well-chosen password should defeat most brute force cracking attempts. If you can recall some details of the password, particularly its length or sequences of characters that may be included, then brute force password cracking techniques may be worth attempting. Several services exist to do this, or you can attempt it yourself. Because Dash Core is based on Bitcoin Core, most approaches to apply brute force to crack a Bitcoin wallet will also work for Dash wallets.